This October sees the launch of the very first DIY Presents the Neu Tour, where three of the UK’s most exciting new bands will take to the stage. 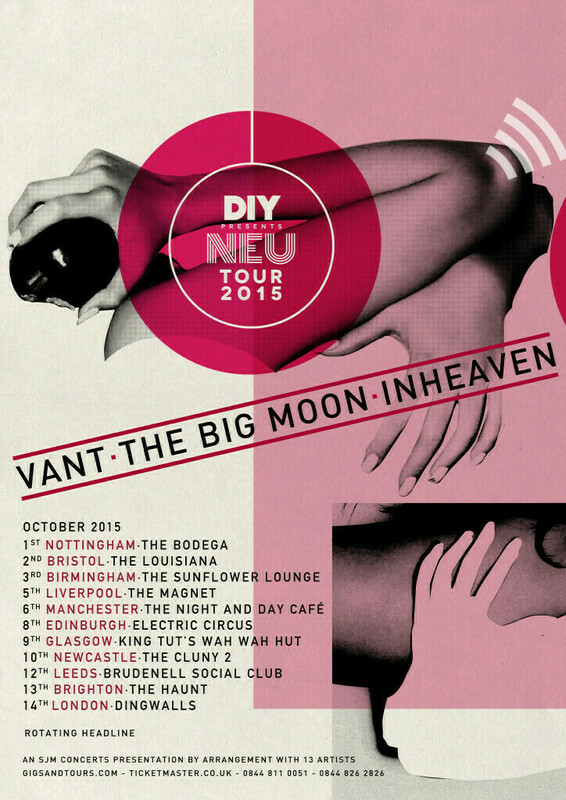 London-based newcomers VANT, INHEAVEN and The Big Moon will perform eleven very special dates across some of the UK’s major cities. Kicking things off in Nottingham on October 1st at Bodega Social Club the tour will run through until October 14th taking in London’s Dingwalls. 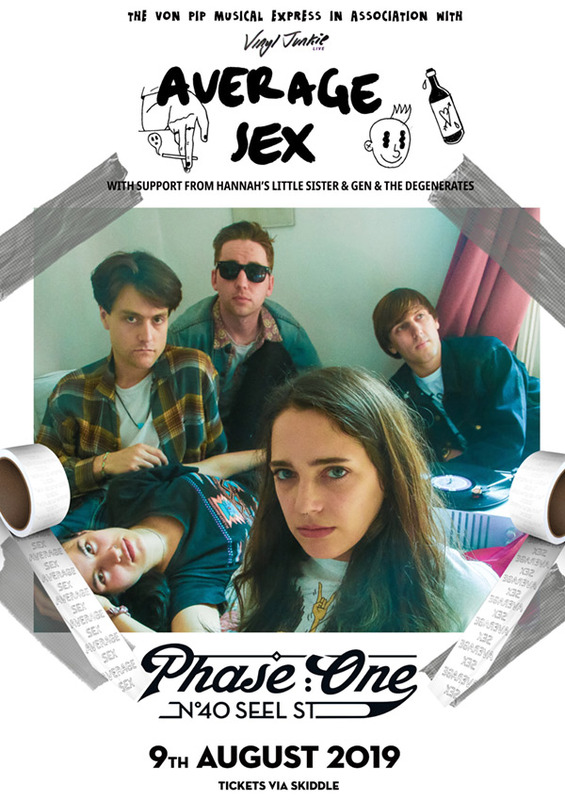 Fronted by charismatic vocalist/guitarist Mattie Vant and completed by Henry Eastham (guitars/ vocals), Billy Morris (bass) and Martin Söderin (drums), VANT have been compared to The Pixies with echoes of Queens of the Stone Age, yet frontman Mattie Vant takes influences from a vast spectrum of musical genres which are then all condensed into two-and-a-half minute onslaughts. 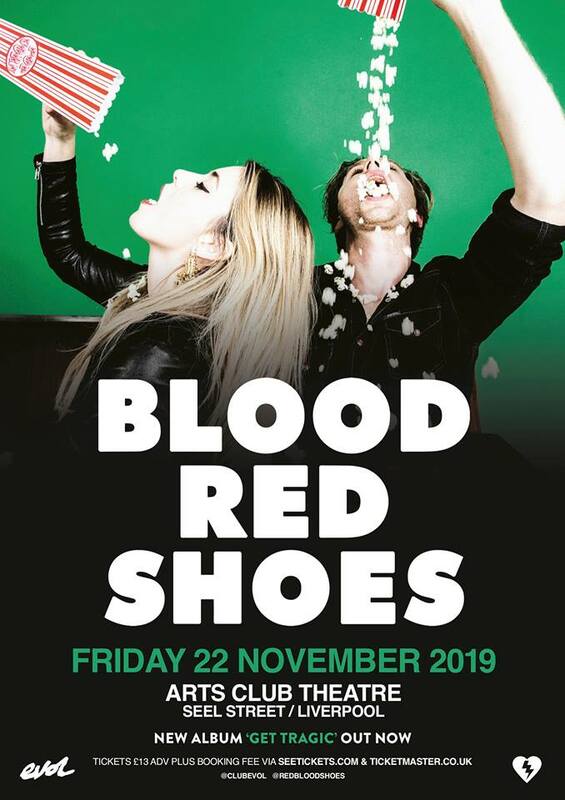 VANT have enjoyed an incredible start to the year with shows as support to the likes of Royal Blood and Hinds, as well as receiving extensive airplay from BBC Radio 1, XFM and 6Music for their debut tracks ‘Parasite’ and ‘Do You Know Me?’. 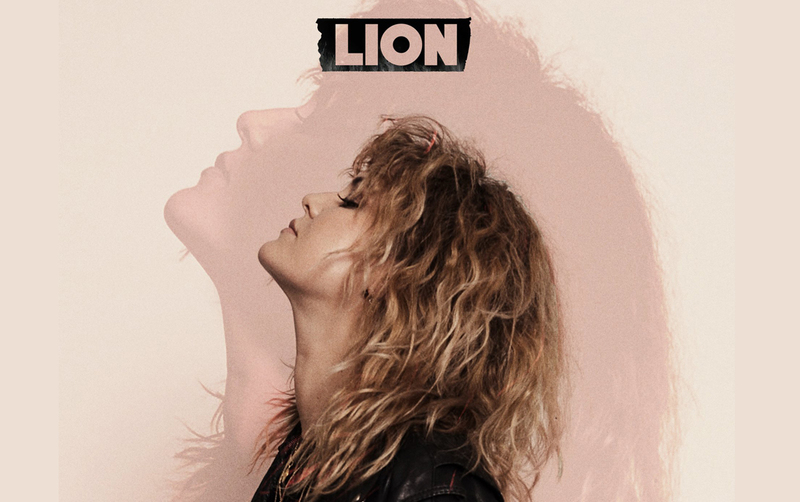 The excitement is building as they head into a relentless touring schedule and a busy stint of festivals over the summer including Reading and Leeds ahead of the release of their debut album early next year. 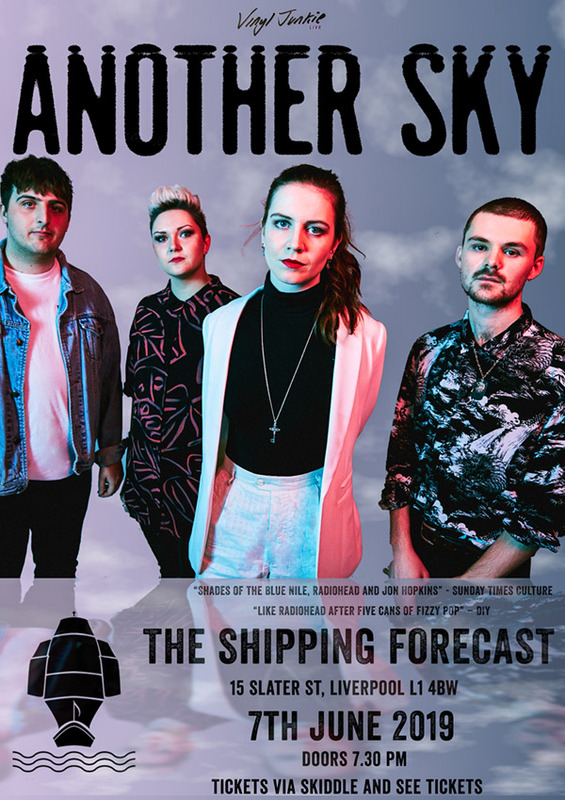 Making waves on the scene INHEAVEN have already gained support from the likes of Radio 1’s Annie Mac, Huw Stephens and Phil Taggart. 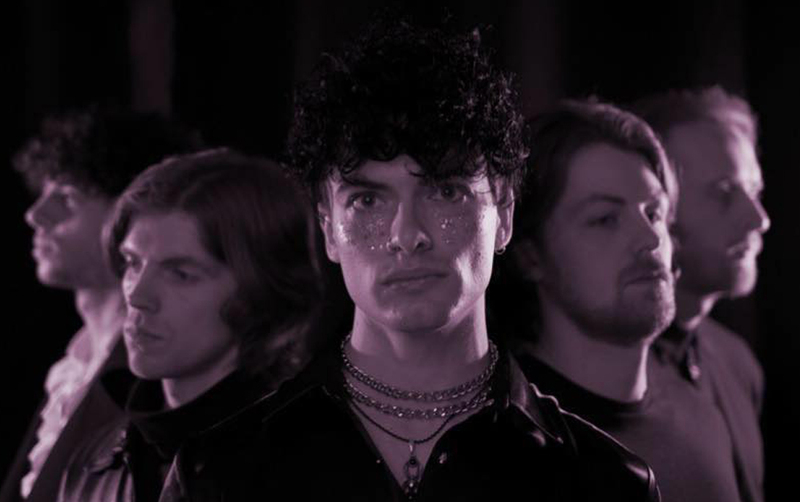 This breakthrough band have recently released their fantastic debut single ‘Regeneration’ via AMF Records and Julian Casablancas’ Cult Records (USA). 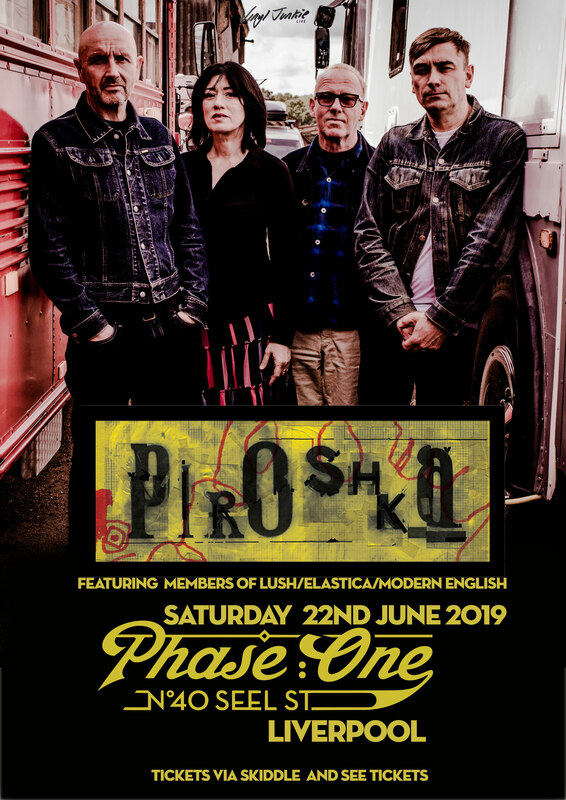 Fresh from their recent headline performance at London’s Field Day Festival, the group are set for a busy summer with a string of UK tour dates. THE BIG MOON are a young four-piece consisting of Juliette, Soph, Celia, and Fern. 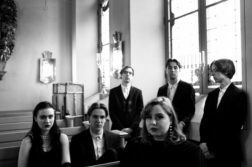 Having unveiled the details of their debut single ‘Sucker’, the track is a ferocious introduction to this hugely impressive new band. Produced by the band themselves it will be released this week (Monday June 15th) on a limited edition Moon-etched 12” through new independent label Hard Up Records.